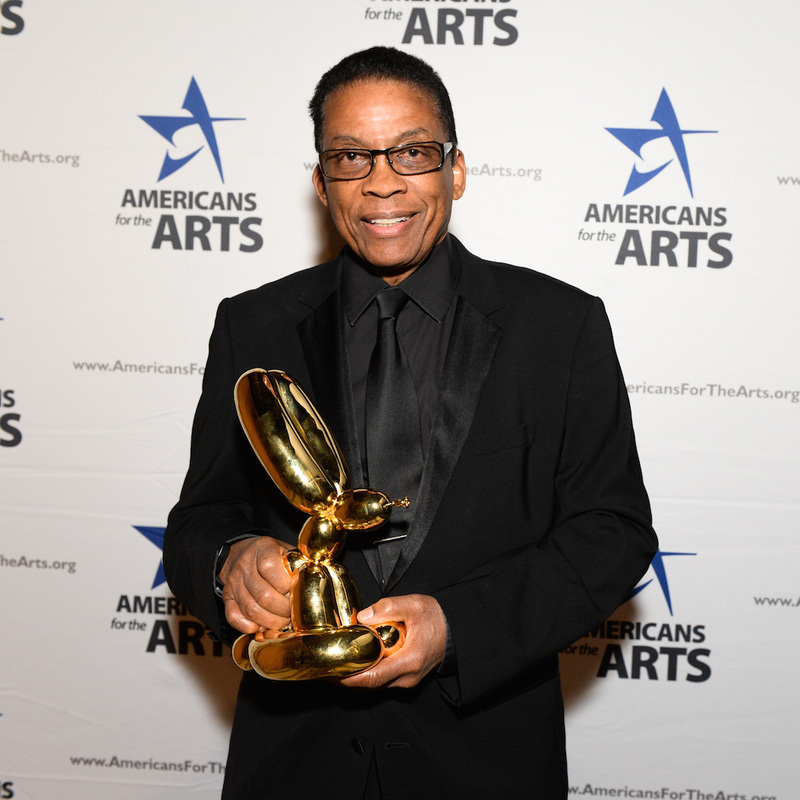 This year, Americans for the Arts hosted the 2015 Award Ceremony honoring, Herbie Hancock, Sophia Loren, Lady Gaga, Alice Walton, Joan and Irwin Jacobs and Maria Arena Bell. The ceremony and dinner were held at Cipriani 42nd Street, the vast hall filled with some of the most notable names in entertainment and the arts. 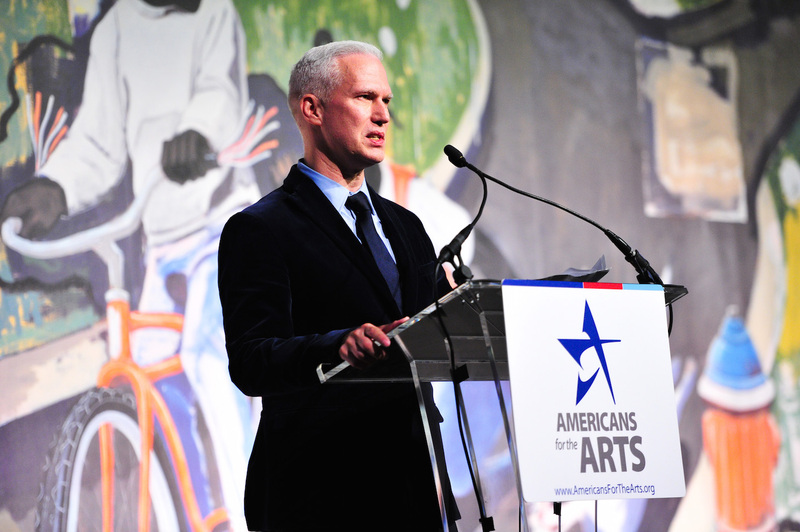 The awards were established to recognize leaders in the arts as well as artists on the national level reflecting his or her own successes and leadership as well as believing in the power of arts and education. Artists in attendance included Chuck Close, Dan Colen, John Currin and Rachel Feinstein, Kehinde Wiley and Sarah Sze amongst others. Throughout the evening, awards were given, accepted, distinguished guests thanked. In between honors, alumni from the National YoungArts Foundation performed a medley of songs honoring jazz musician Herbie Hancock and Lady Gaga specifically. Their performance, lyrical vocals accompanied by string instruments was incredibly impressive and in response to soulful covers of a few of her songs, Gaga herself stood up in standing ovation. The words of “Bad Romance” echoed through the hall sending chills to those present. It was a good reminder of what Lady Gaga has done especially since she has not been in the direct limelight as of late. The National YoungArts Foundation, established in 1981, is an application only program that assists teens aged 15-18 (roughly tenth grade to twelfth grade) with professional and educational development through scholarship awards and the opportunity to study with greats in the industry, such as Marina Abramovic, Zaha Hadid, Bruce Weber and Mikhail Baryshnikov, to name a few. From nearly 11,000 applicants each year, 800 are chosen. Their national headquarters are in Miami, where they hold events, site-specific exhibitions and music performances. Lady Gaga received the Young Artist Award. 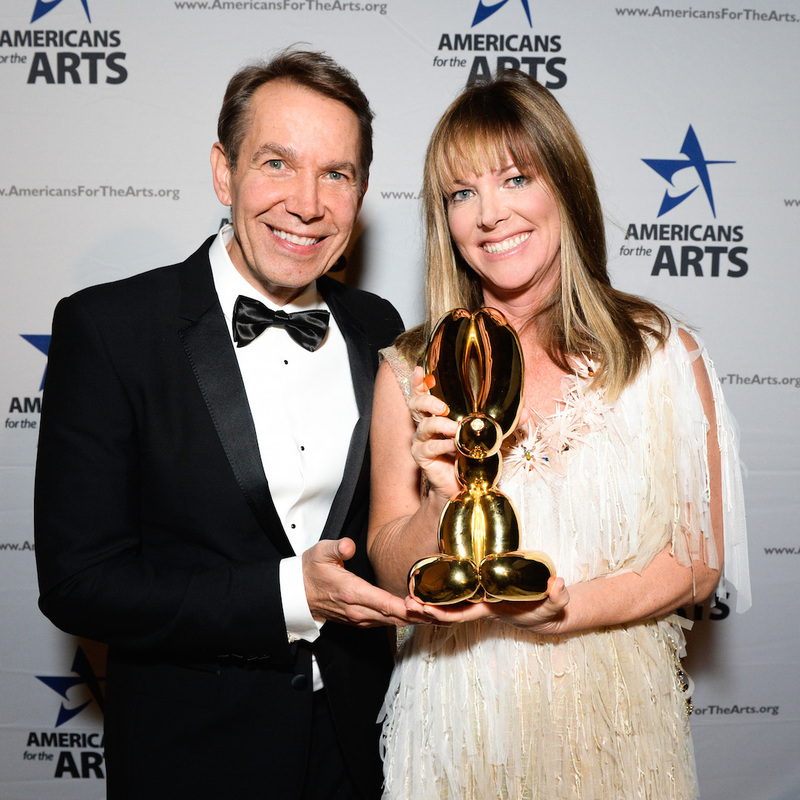 Throughout the evening, presenters went on stage ranging from musician Paul Simon to Jeff Koons, who also designed the award statuette and the cover to Gaga’s most recent solo album Artpop, 2013. The one criticism I have of the award ceremony is that while the overall goal of the organization is to provide outreach and resources (which they are succeeding at) their internal, celebrity network is grand in scope, however small in what could be perceived as seemingly nepotistic. Koons is friend of Gaga, who is also friends with Klaus Biesenbach and Marina Abramovic, a collaborator and the subject of A Portrait of Marina Abramovic, a 3D short film presented by YoungArts in 2013 by artist Matthu Placek. Honoree Maria Arena Bell is a collector of Koons and was previously the Event Chair having since pass the torch to Carolyn Clark Powers. The web is woven quite snuggly, with threads that are all strong and hold fast and while generous appreciation was given during many of the acceptance speeches, one could question the selection process of each nominee, based on the internal workings of the selection committee, or suggestions based on an already powerful network. As we all know, this is happening in every industry and in the nonprofit sector, having big money names connected to your company or cause rather, is never a bad thing. The timely aspect of the award, specifically to Gaga seemed relevant as well, as she was awarded for her contributions as a young artist and at 29, she is on the brink of entering a new stage of her life and career, welcome to the 30s! Nonetheless, being present for Gaga’s acceptance was definitely something special. She was very gracious and before she walked on stage, we were shown a montage of her music videos, a reminder to the fact she has had a moment, whether she can renew it (or wants to) is not known, but her vision of self through costuming and many of her songs was, for lack of a better word, killer. That being said, if Madonna and Cyndi Lauper didn’t exist, Lady Gaga wouldn’t exist and if Lady Gaga didn’t exist, I’m not sure we would have Miley Cyrus in her current incarnation. The worlds of pop music and art are not strangers and coexist rather than feel entirely separate. This recognition of Lady Gaga as an artist, amongst her peers, was a defining moment and one that everyone in their chosen industries craves; acceptance. As Klaus Biesenbach reminded us, she sold 28 million albums before the age of 30 years old. During her speech, Gaga said on pre-fame, “I didn’t know what I would become but I was always extremely brave and I wanted to [derive] an example from the universe about what passion looks like, what it sounds like.” Then continuing, “I ask you to use me, use me, use me for your own art.” The latter sentence was a cry a request from a person, an artist who acknowledges the sequential latitudes of success and how one person can so greatly influence another. Her crowning moment directed at the audience and her fans came when she nodded towards the depression she suffered as a child and the countless who are still do, “When children who are suffering from depression ask, ‘Why do I feel so bad?’ We can answer, ‘Because you are destined to make things.’ Let’s help them make things.” All friendships and internal workings aside, this sentence really said it all. 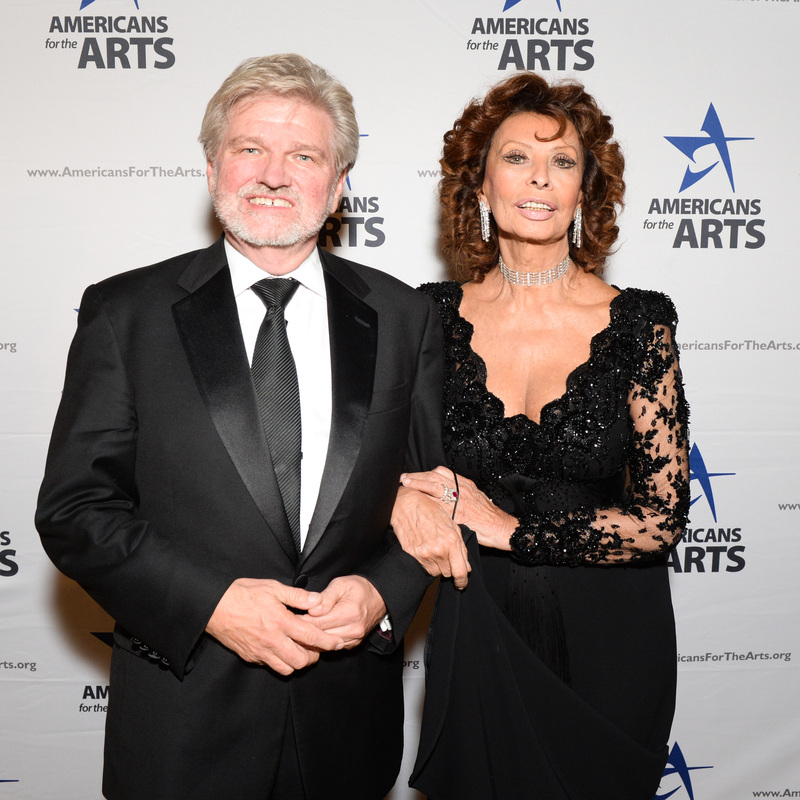 The evening raised over $700,000 and regarding arts education, Americans for the Arts, has done a phenomenal job in accessing those who can actually help to financially support and nourish an organization that fills an ever-widening hole in arts and culture for many less fortunate without means of entry.